PHP or Hypertext Preprocessor is easily the most widely used programming language in the world. A server-side scripting language and embedded in HTML, it is ideal for developing dynamic websites and web-based applications. This open-source and efficient language has, over the years, grown to become a perfect alternative to other web development technologies. It is not only compatible with every web server but also works with frameworks and runs on a web server. 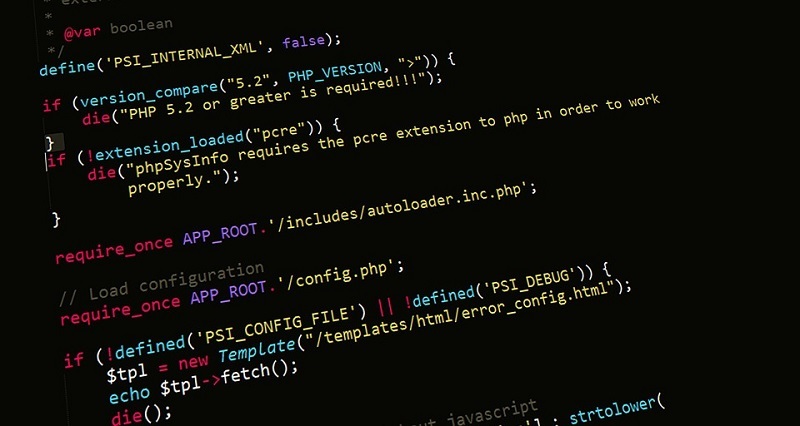 Although PHP is been stable, secure and user-fetidly, it has custom codes for every single functionality which ultimately paved the ways for frameworks. This is how it becomes possible to speed up web development and get the benefit of scalability. And yes, framework-based apps and solutions offer more security than regular products. For that reason, it makes to choose the right framework and add a new dimension to your web development. Any mention of PHP frameworks is incomplete with Laravel which easily tops the popularity list among them all. This open-source framework is relatively new to the club yet helps deliver speed without having to increase project overheads. And yes, it leads the domain when it comes to delivering performance and scalability. Some of its major features include New directory structure, Route caching, Authentication and Multiple file system. And don’t forget, its ecosystem comes with the features of instant hosting and deployment platform to expediate development. Do you know what makes Symfony the first choice for web programmers? Yes, it comes with a highly flexible architecture that often sways website owners towards it. This free open-source framework, which is based on Model View Controller, it written in PHP programming language, and delivers compatibility with various databases including MySQL, Microsoft SQL server, Oracle and PostgreSQL. This framework stands out for being ideal for developing large-scaled enterprise projects. And yes, its huge ecosystem also has an active community of developers for help with any technical issues. Yii is still there and yes, it’s easily among the oldest PHP frameworks for efficient web development. Now, it latest version – Yii 2 – is there to boost its already established popularity. One of reasons behind its success is its being a purely object-oriented framework. Needless to say, it’s faster than the others because it uses a perfect loading technique. You can integrate it with AJAX and jQuery features which helps make it fit for large-scale web development. CakePHP always takes a prime spot on the list of PHP framework. It’s there for over a decade now, enjoys trust and appreciation. And yes, it continues to be popular for web development. There is no match yet for its speed, security and reliability. Its features have always been widely admired and they are not going to lose their shine soon. Apart from good documentation, its topmost features include SQL injection prevention, cross-site scripting (XSS) prevention and clean MVC Conventions. Developers and programmers simply love this framework and they can’t get more of it, ever. Even if the Zend framework is that not that easy to learn, this does not take away anything from its usability and popularity. This open source and object-oriented web application framework packs in a range of features that help speed up web development. With that, you can easily promote web development best practices and add value to your web projects. You can also avail php development services India and ensure top-class and fully-functional websites and apps for yourself. This is how your business’ overall productivity can take a big jump easily.